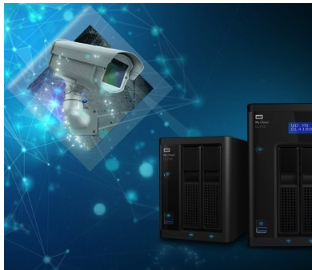 WD, a Western Digital Corp. company, and Milestone Systems A/S, a security industry specialist in video management software, announced a partnership to deliver video surveillance solutions to businesses and consumers. Milestone Arcus Surveillance software will be available on WD's My Cloud Business Series NAS with the new My Cloud OS 3 OS beginning this month; and is expected to be available on other My Cloud systems, such as the My Cloud Expert Series, in the future. Arcus is a video surveillance platform designed to be embedded in hardware devices, such as compatible WD My Cloud NAS systems, to deliver customized, market-ready solutions. Integration of Arcus Surveillance software into My Cloud OS 3 enables users to transform their versatile My Cloud Business Series NAS systems into networked video recording systems for their offices or homes. By downloading the Arcus Surveillance software through the My Cloud App Store, users can install up to 16 cameras, with the first two camera licenses free on My Cloud Business Series products. Additional camera licenses will be available on the WD Store and at BackupWorks.com a WD Authorized Partner. Technology advances are enabling video surveillance to be broadly accessible to businesses and individuals across the globe. Together, WD and Milestone are focused on making video surveillance easy with a solution they can quickly set up and rely on for years. This is one of many applications available on My Cloud NAS systems, including home automation, media streaming and backup solutions. WD customers can now take advantage of the simple setup with automatic camera discovery, intuitive interface, remote viewing, mobile access and other monitoring features in Milestone Arcus software. WD's My Cloud Business Series NAS systems are available through BackupWorks.com. The new My Cloud OS 3 OS will be available to My cloud NAS system users later this month as an update.